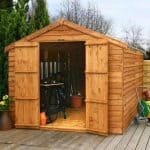 Simply sensational! 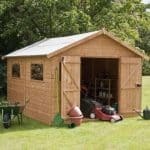 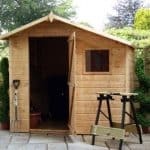 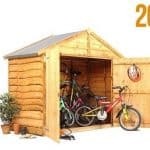 This garden shed is one of our absolute top sellers and is crafted from hard wearing wood with classic strong tongue and groove cladding in design with glazed windows – keeping out any moisture. 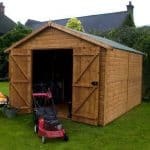 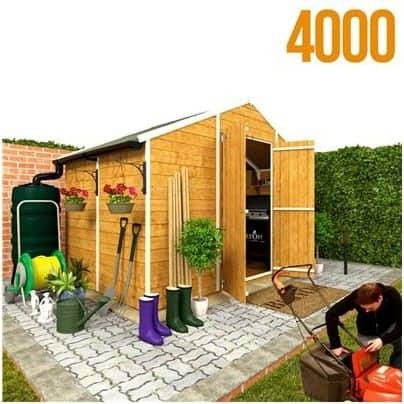 Strong and hard wearing this shed will look good and function to excellence for many years. 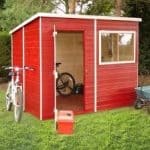 Available in many different sizes so you can find the perfect one for your outdoor space and with large double doors for ease of transporting equipment in and out you will be over the moon with this handsome looking chap.